Get your resume up to par. Learn how to create a dynamic resume that gets noticed. After you watch the resume course, you can download one of the resume templates available to you and begin to create your dynamic resume. Craft a great elevator pitch to really sell your skills to an employer. Learn how to summarize your experience and exactly what to say the next time you get the "tell me about yourself" question. Get the most out of LinkedIn. Make sure you have a great profile and recruiters know you're open to opportunities. 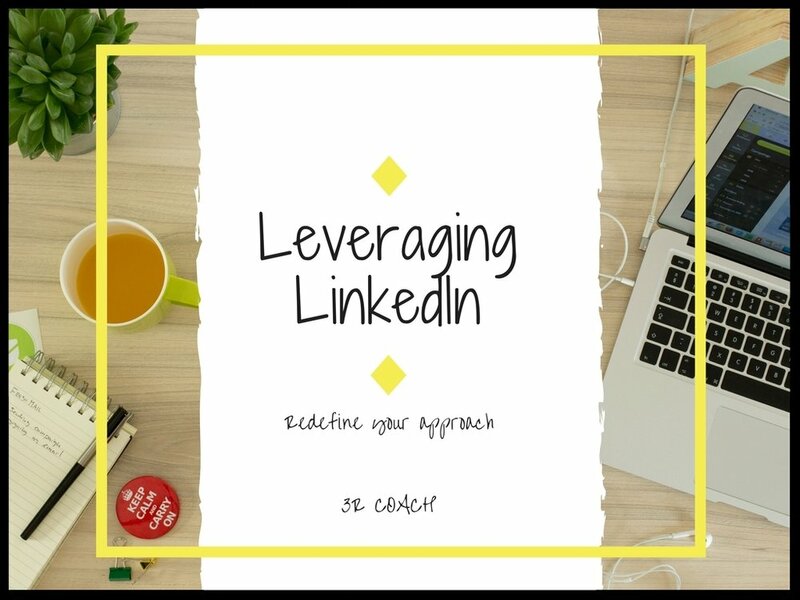 I share some great tips in the LinkedIn course to help with clarity on your next career step. Start networking effectively for your career. You want to create your dream career, not wait for it to come to you. Learn exactly how you can do this and how to connect with key stakeholders. After you watch the networking course, make sure you use my networking email examples in the resources section so you know exactly how to draft your email to potential employers. Learn how to ace your interview. Once you get that interview for your dream job, make sure you're well prepared for any question and learn how to make a great impression. Once you get the job offer, it's time to negotiate your salary. Learn exactly what to say and do to negotiate your salary like a pro so you feel valued & appreciated. Your journey to a new career starts here! [34:10] Learn how to create a dynamic resume that gets NOTICED. HR professionals will only spend an average of 6 seconds looking at a resume....follow THIS guide and your resume is sure to get noticed! Finally learn the BEST way to market your skills on your resume. [29:01] The REAL reason behind your lack of confidence in interviewing is because you don't know how to best summarize who YOU are and what YOU have to offer. Craft a polished elevator pitch and you'll never stumble again. [26:42] FINALLY learn how to use LinkedIn to its full advantage. It's time to UP-LEVEL your profile so people notice you. AND...it's time to learn how you use LinkedIn to find the company YOU want to work for & land your dream job! [32:05] PROPEL your career. It's time! If you're not networking effectively, you're not DESIGNING a career you want. What you're doing is just waiting for the right career to come to you. That's not how you land your dream job. You don't wait, you GO after it. [27:15] NEVER botch an interview again. Learn a proven formula to answer ANY behavioral question. Follow this guide and you'll have control of your next interview. You'll WOW them with your charm and confidence. You'll also leave a lasting impression by asking GREAT questions! [27:27] Get PAID what you're worth. We'll, really you're priceless so that may be hard;) Yes, even though we can't put a value on your greatness, we CAN put a value on what a company owes you for what you bring to the position. NEVER feel like you're not getting paid top-dollar again!